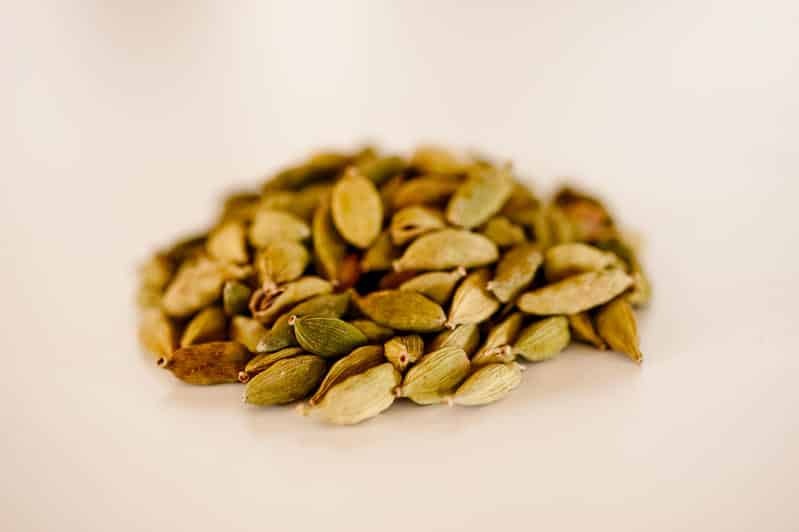 Cardamom's bright and strong flavors have a camphor-like quality and citrus intensity. An ancient and highly-prized spice, its high price makes it a ‘festive’ spice. It goes well in sweets and pastries, but is often used in savory meals too. The pods can be shelled to collect and grind the seeds or used whole in chai tea or Turkish coffee.